le chaudron de vulcain – August 01 , 2018. EN. Chile : Villarica , Colombia : Galeras , Mexico : Popocatepetl , Hawai : Kilauea , Indonesia : Lombok . August 01 , 2018. EN. Chile : Villarica , Colombia : Galeras , Mexico : Popocatepetl , Hawai : Kilauea , Indonesia : Lombok . Home / blog georges Vitton / August 01 , 2018. EN. 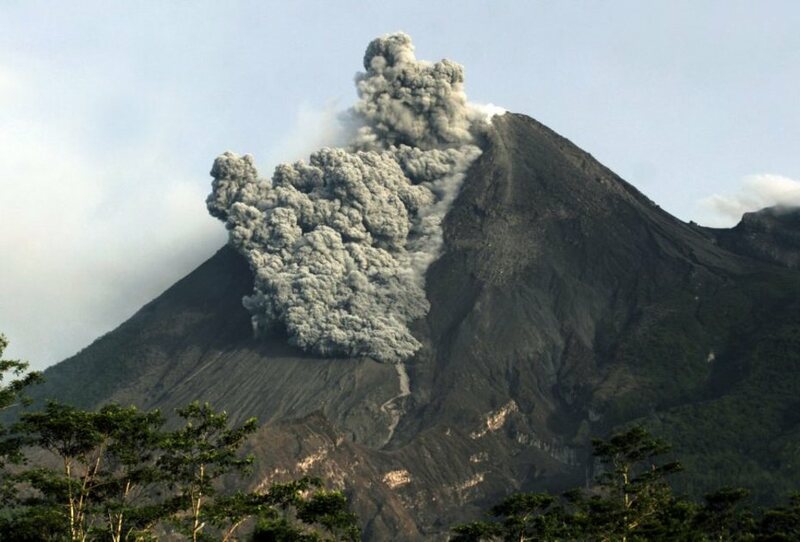 Chile : Villarica , Colombia : Galeras , Mexico : Popocatepetl , Hawai : Kilauea , Indonesia : Lombok . The Copernicus program satellite (ESA) has been measuring the largest heat area on the summit since August 2015. Due to the heat, the crater interior has lost much of its snow and ice cover. Ashes and lapilli are observed on the eastern edges of the crater. Since July 16, POVI has published in the RRSS the various events that have evolved to what was described above. The images allow us to compare terrestrial and satellite observations between July 25th and 30th. Source : Werner Keller / POVI. YELLOW LEVEL ■ (III): CHANGES IN THE BEHAVIOR OF VOLCANIC ACTIVITY. Between July 24 and July 30, 2018, seismicity decreased compared to the previous week. The prevalence of earthquakes associated with rock fracturing (volcano – tectonics) has occurred. Most of them were located in the area where the earthquakes of the sequence triggered on June 12 occurred, in a north-east direction, at a distance of 8 km with respect to the active crater of the volcano Galeras. 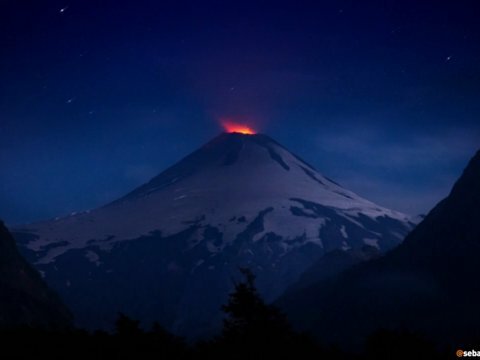 The maximum local magnitude of these earthquakes was M1.4 with depths of up to 7.5 km compared to the average height of the Galeras volcano (4200 meters above sea level). 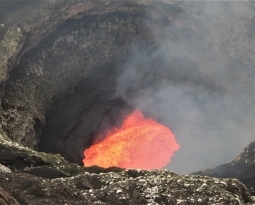 For the week evaluated when weather conditions permitted, it was possible to observe the emissions of gases from the main fumarole fields on the top of the active cone showing a white color with a low exit pressure, reaching a low altitude, variable dispersion according to the predominant direction of the winds. The other geophysical and geochemical parameters of the volcanic monitoring of Galeras do not allow to record the variations that show a change in the level of activity of the volcano. 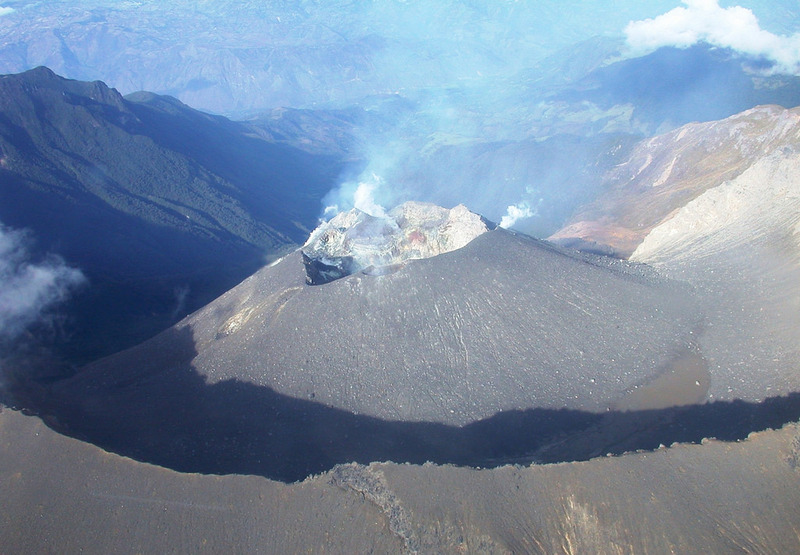 The COLOMBIAN GEOLOGICAL SERVICE remains attentive to the evolution of the volcanic phenomenon and will continue to inform in a timely manner of the observed changes. 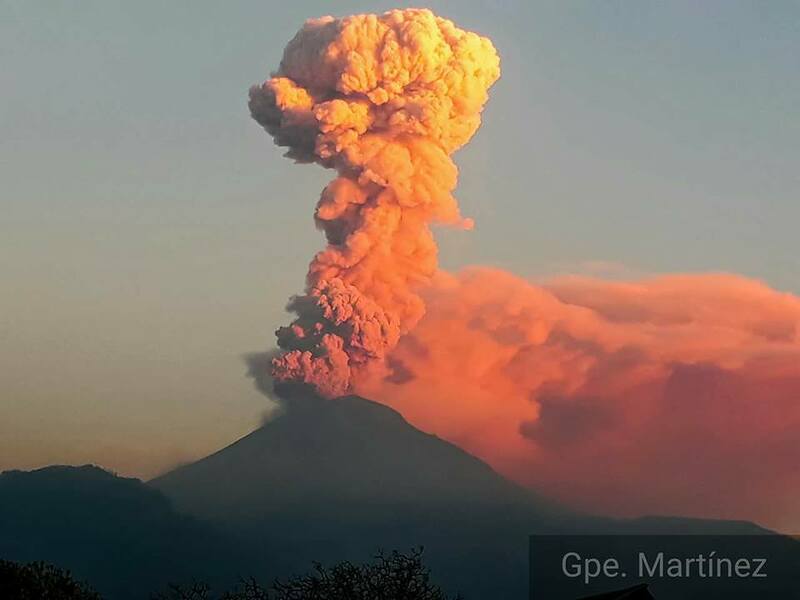 In the past 24 hours, 34 low-intensity exhalations accompanied by steam, gas and ash were identified on the monitoring systems of the Popocatepetl volcano, with partial visibility. 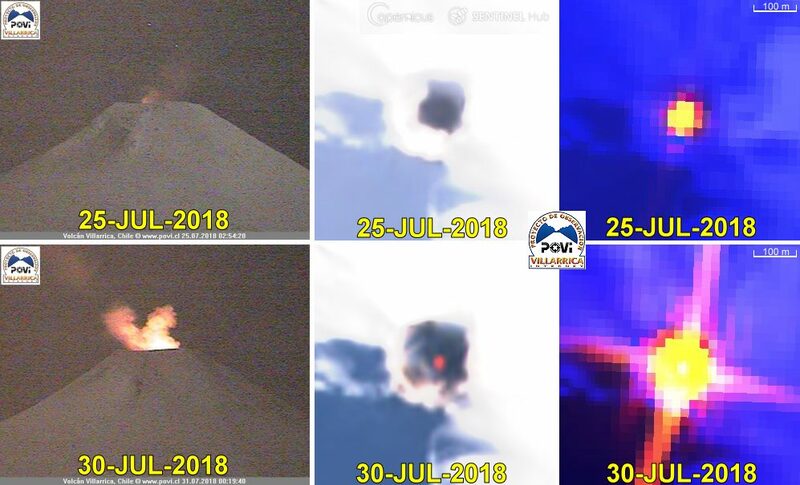 In addition, five explosions were recorded, two yesterday at 11:01 and 19:48 h, and three today at 01:54, 02:52 and 02:58 h.
From 03:07 am began to be recorded a train of exhalations accompanied by the emission of gas, ash and incandescent fragments on the slopes of the volcano. 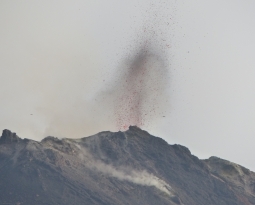 The height of the eruptive column reached 2 km above the crater and dispersed to the west-southwest, with a total of 215 minutes and a recorded tremor until 06:42 h. At the time of this report, seismic activity has returned to its previous levels. Due to the increase in activity, we have reports of ash falls in the municipalities of Tetela del Volcano, Yecapixtla, Tlalnepantla, Totolapan, Cuernavaca, Tepoztlan, Huitzilac and Tlayacapan belonging to the state of Morelos and Amecameca, Acuautla, Ecatzingo, Ozumba and Tepetlixpa, in the State of Mexico. At the time of this report, there is an emission of water vapor and gas that the wind disperses to the southwest. Fissure 8 continues to erupt lava into the channel leading northeastward from the vent. No overflows were reported this morning and lava levels in the more distant portions of the channel system appear low. At the coast, the south edge of the lava flow has not advanced westward in the past day, and remains less than 175 m (0.1 mi) from the Pohoiki boat ramp in Isaac Hale Park. Lava along the south edge of the flow was oozing more to the east but there were a few ooze-outs to the west that were distant from the coast and not directly threatening Pohoiki. 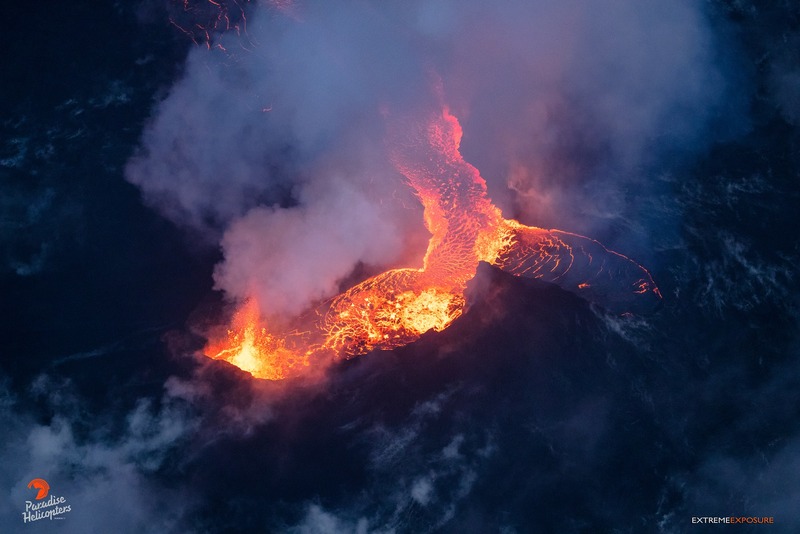 Lava is actively entering the ocean along a broad 2 km (1.2 mi) flow front centered near the former Ahalanui Beach Park with a more minor entry building a pointed delta near the south edge of the flow. No other fissures are active this morning. A magnitude-4.5 earthquake occurred beneath the south caldera at 12:30 AM. Seismicity at Kilauea’s summit decreased after the collapse event at 7:59 AM HST July 31 which was very similar to previous events. 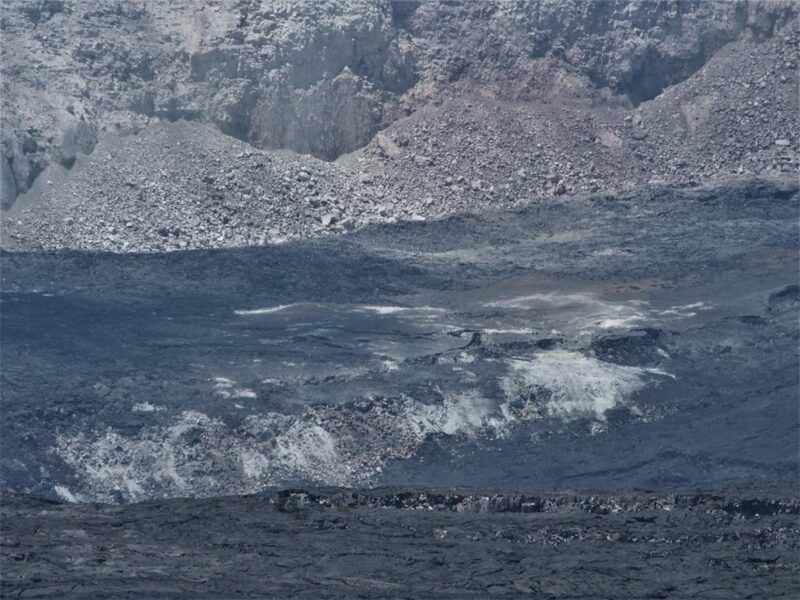 A closer view of the area of altered rock that is being exposed as the caldera floor to the right drops down. Photos : Bruce Omori , HVO. 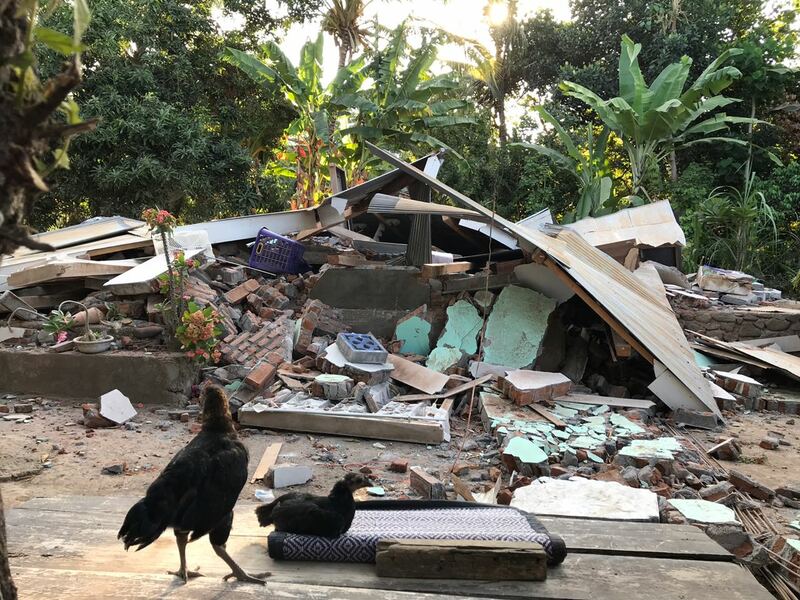 The Lombok earthquake of M 6.4, which occurred on July 29, 2018, left 17 dead, with dozens wounded and hundreds of buildings damaged. 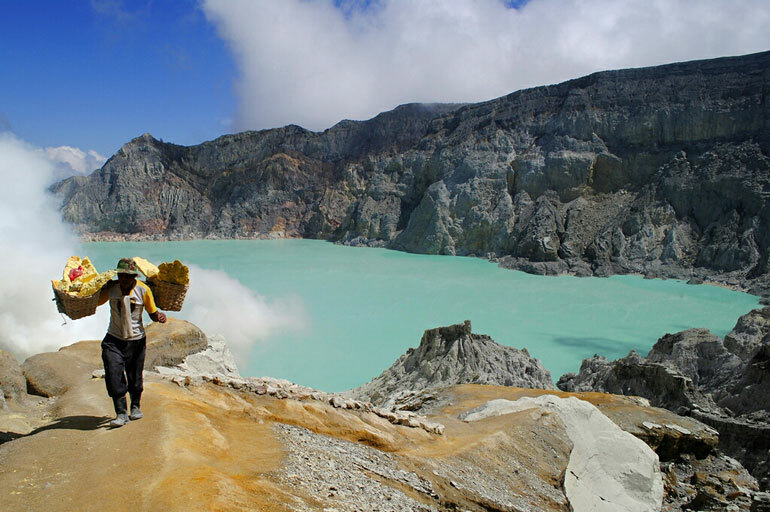 To date, with the results of post-PGA monitoring at Sembalun, there has been no increase in G. Rinjani’s volcanic activity due to the Lombok earthquake. The PVMBG Geological Agency team conducted damage mapping in the villages of Sajang, Kec. Sembalun. Most buildings were heavily damaged. Ground cracks have been found in some places. The cracks are heading north-east-southwest. Damage mapping was also done using drones. On the mapping of the damage done to the hamlet of Melempo, village of Obel Obel, Kec. Sambelia, nearly 100% of the buildings are badly damaged. Cracks on the ground are found. Microtremor measurements were made at several locations along the Sembalun-Sambalia road. The team participated in a coordination meeting with SKPD East Lombok and North Lombok, related agencies, volunteers and NGOs. The team presented the results of the field inspection. The Geological Agency team will continue the mapping of geological damage and the measurement of microtremor. 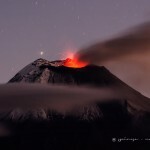 Étiquettes : Blog Georges Vitton, chili, colombie, galeras, hawai, Indonesie, Kilauea, Le chaudron de vulcain, Lombok, Mexique, Popocatepetl, Villarrica . 01 Aout 2018. FR. Chili : Villarica , Colombie : Galeras , Mexique : Popocatepetl , Hawai : Kilauea , Indonésie : Lombok . 02 Aout 2018. FR . 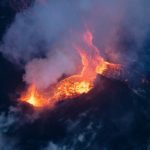 Equateur : Reventador , Etats-Unis : Yellowstone , Indonésie : Dukono , Hawai , Kilauea , INGV Vulcani : le carburant des éruptions .